EASTON, PA--(Marketwired - December 28, 2015) - Cigar Advisor, the nation's premiere online cigar magazine, proudly serves cigar enthusiasts with a uniquely down-to-earth perspective on the enjoyment of premium cigars. The editors of Cigar Advisor have released their "Top 25 Best New Cigars of 2015" report, recapping the year's newly-released cigars and highlighting their picks for the best cigars of the year. "It's an exciting time of year for us, and for cigar enthusiasts as a whole," says John Pullo, Cigar Advisor Managing Editor. 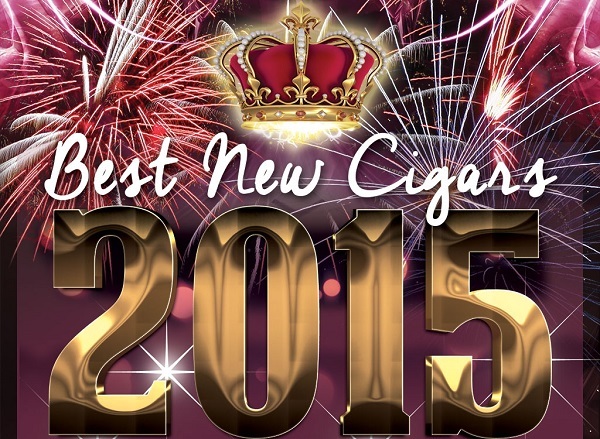 "Looking back over the past 12 months, and all the new cigars that came out during 2015, it was a pretty big job -- but an enjoyable one -- to pick the smokes we thought qualified for 'Best New Cigars of the Year.'" He estimates that the Advisor editorial team smoked and rated over 70 new blends from both top cigar makers and smaller, boutique companies. "Those were the sleepers," Pullo says. "And I'm glad they weren't overlooked, because a few of those boutique cigars made it on our list. They're that good." 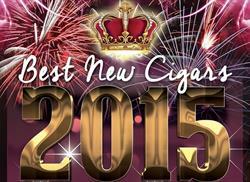 Executive Editor Gary Korb had the task of revealing their unanimous choice for #1 New Cigar of 2015. "I won't ruin the surprise here," says Korb. "All I'm going to say is that this particular cigar was one of the rare ones which kept my attention from start to finish." He did reveal some of his tasting notes for the #1 Cigar of the Year, however -- writing that this particular selection "jockeys its way through a virtual maze of nutty, toasty, earthy, sweet-spicy flavors, and the occasional wisp of chocolate served-up in a perfectly balanced brew." In addition to collectively selecting the top new cigars of 2015, the Advisors called out their individual picks for the best new cigar they smoked within the past 12 months. "My personal pick was also our #1 pick," says Gary. Pullo described the editors' simple selection process: they all smoked it, and they all liked it. But even though he cautions that everyone's tastes may be different, "I think we can all agree that we have some really great cigars on the list -- and people will want to try them." And that, agrees Gary, "is what makes this fun." The Cigar Advisors have included tasting notes to accompany every entry on their Top 25 New Cigars of 2015 list; to see the reveal, and learn what garnered top spot as their #1 cigar of the year, go to CigarAdvisor.com.